Before you buy a powerbank — aka portable battery charger — check for the mAh capacity mentioned on your smartphone battery or the specs in your mobile's manual (in the case of non-removable batteries). For instance, if your device has a 2000mAh battery capacity, buy a power bank with at least 2500mAh. If you buy a 4500mAh model, it means you can charge your 2000mAh phone at least twice. In any case, opt for the highest capacity that your budget allows. Also check 'current draw'. Older phones do not draw more than 1 Ampere to charge their batteries. However, newer handsets and tablets need a 2.1 Ampere input current. Check your mobile's original plug for details on current draw. If possible, buy a powerbank with two USB ports — 1A and 2.1A. Remember: When it comes to charging your gadgets, current draw is more important than capacity. Essentially, pay attention to the type of cells — Lithium-ion or Lithium-polymer — used in the power bank. Li-ion is cheap and easily available. Li-poly cells, on the other hand, are more expensive, but provide twice as much charge density per unit weight. Ensure that you buy from a reputed brand. Low-quality lithium-ion power banks not only effect performance, but are also a potential hazard. Many times, cheap battery packs — the type available on the streets — do not list the correct mAh capacity or the proper current draw. These batteries could also explode due to heating from over charging. For improved safety and performance, buy a model that comes with over voltage protection (OVP), over charge protection (OCP) and over-temperature protection (OTP) that ensure its longevity against spurts in current, and over heating during charging and discharging. Adata DashDrive Air AE400 (Rs 4,500): This device comes with a 5000mAh battery to recharge your devices. Besides, it can connect to existing wireless networks and create an internet bridge connection for up to 10 other devices. You also get a USB port that takes input from pen drives and hard drives, as well as a MicroSD card slot, allowing you to share this storage wirelessly. F-EYE Mobile Back Cover is a mobile accessory designed for your smart phone to give it a different and attractive look .It will also help you to protect your smart phone from outside damage , dirt, scratches.Mobile Back covers are available for all variants of Smart phone.Designed with classical dimensions also lightweight to fit your smart phone which is easy to remove and install. 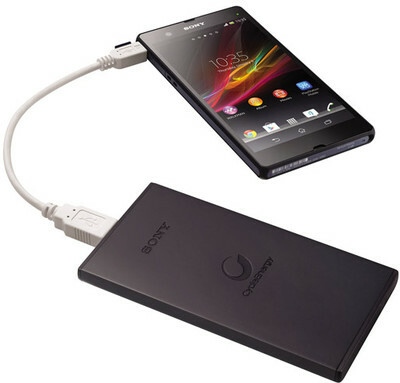 If you need to keep your smartphone - or tablet or other USB-powered device - going all day, you need a power bank. We've rounded up the best portable chargers available in the LatestOne.com . Power Banks enhanced the usage of mobile phones with working as a backup power that will never make your battery power exhausted. The amazing and exciting range of power banks is the best device to match up with your requirement and style. It is a useful, compact and portable charger available in attractive designs and colors that makes it more stylish and vivid. USE COUPON CODE : "COOL100R "